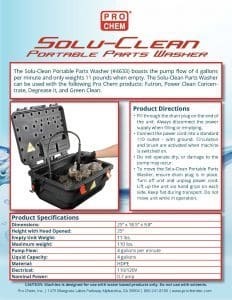 Solu-Clean Portable Parts Washer | Pro Chem, Inc. Empty Unit Weight: 11 lbs. 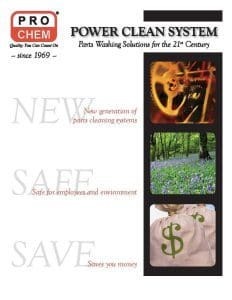 • For use with Solu-Clean degreaser #2633. Fill through the drain plug on the end of the unit. 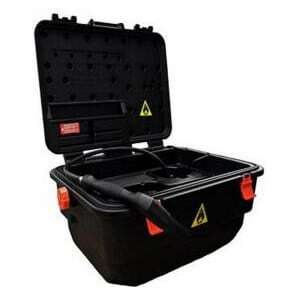 Always disconnect the power supply when filling or emptying. • Connect the power cord into a standard 110 outlet – with ground. Circulation and brush are activated when machine is switched on. • Do not operate dry, or damage to the pump may occur.